Pioneers in the industry, we offer Designer Necklace, Designer Necklace (TWN 1263), Designer Necklace (TWN 1264), Designer Necklace (TWN 1265), Artificial Necklace Sets and Ladies Fancy Necklace from India. 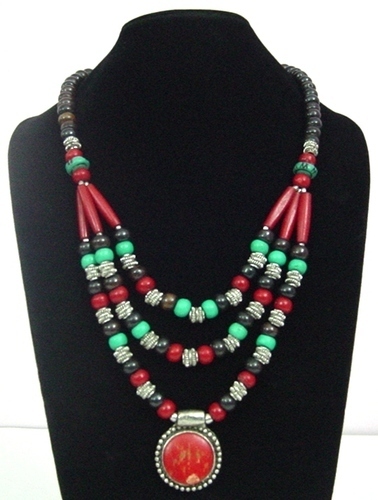 Clients can avail from us an astonishing range of designer necklace. These products are manufactured by our experienced artist using high grade raw material at our well established manufacturing unit in compliance with international quality standards. Our product range is inspected by our experienced professionals to eradicate all the flaws from the assortment. These products are also available as per the requirements and specifications of our esteemed clients at competitive prices.